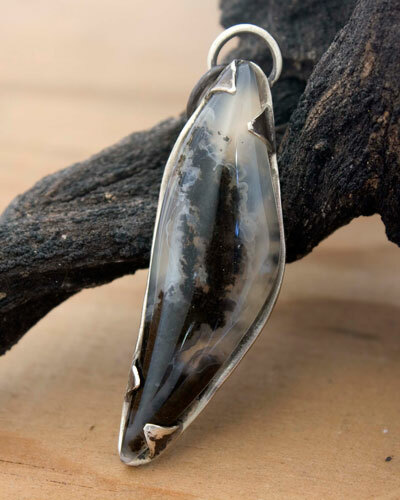 This pendant shows a pretty agate length and flame-shaped with nebulous patterns. This is a translucent matrix agate which showing inclusions such a dark and black foam. 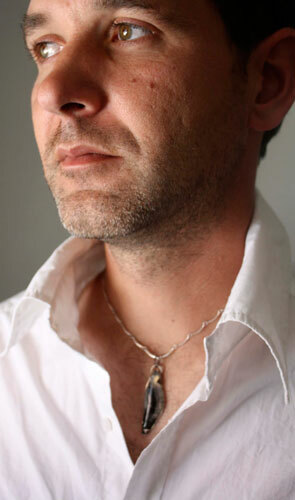 I set on a sterling silver plate I openwork to let foresee the tangled grounds of this beautiful semi-precious stone. The pendant is openwork circular shapes to illuminate this agate. The claws are sheet-form to free up the view from this stone. This form of flame and nebulous pattern reminded me of a magical and dark fire. 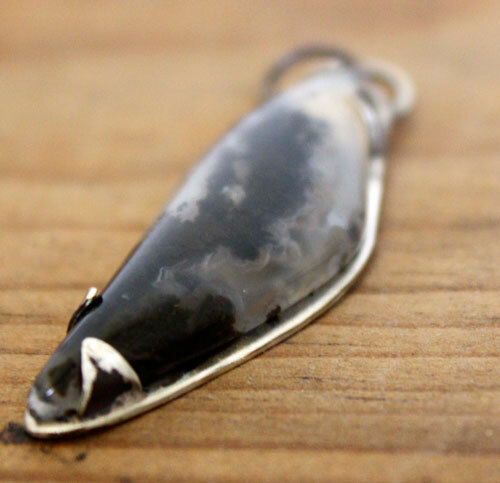 That’s why I named it Mojo, the name given to an amulet in the Hoodoo ritual, an African-American spiritual tradition. This pendant measures about 5 x 2.5 cm. It is signed on the back. 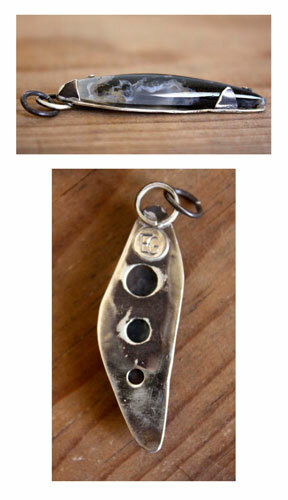 The sole pendant is sold. Raw, oxidized and brushed finish. 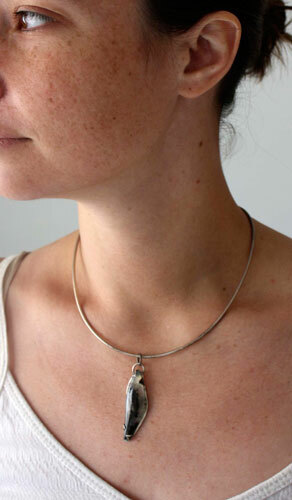 This pendant is made for men but it could also suit women. 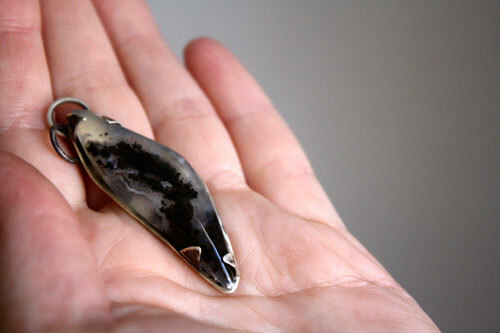 Tag: pendant, sterling silver, stone, agate, black, white, hazy, mysterious, crystalline, transparent, oxidized, gift, birthday, jewelry, unique oval, tip, flame, fire, foam, dark, Mojo, talisman, Hoodoo, belief, tradition, African-American.